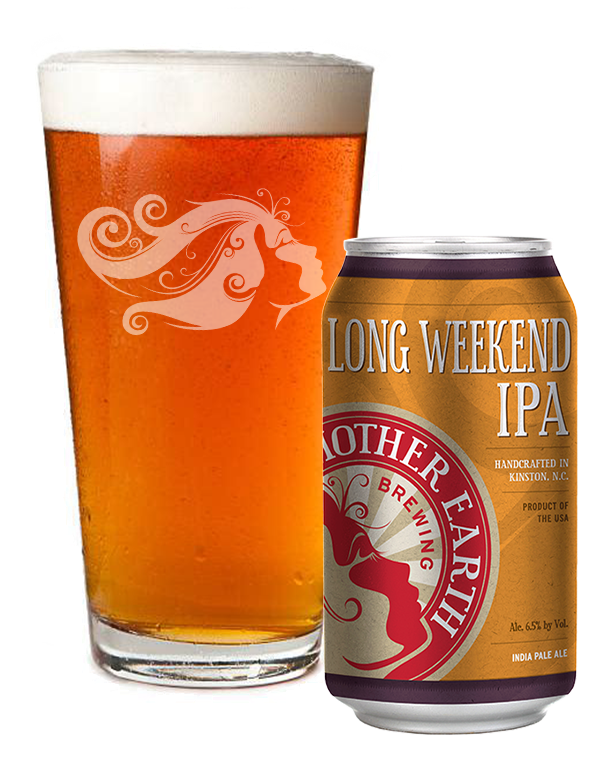 Our Long Weekend IPA will change the way you look at IPA! Brewed with a generous portion of flaked oats that provide a creamy, velvet-like mouthfeel, this IPA takes nearly all of its hops (Chinook, Mosaic and Citra) as late additions and dry hops during fermentation, resulting in big aromas and flavors of grapefruit and cantaloupe with very little bitterness. Whether you're sitting around a bonfire with friends, hitting the beach, or hiking your favorite trail, Long Weekend is the perfect addition to extra hours and a surplus of sunshine.